All change atop both charts as Shakira and Rihanna move up a place to No.1 with Can't Remember To Forget You. It's the ninth No.1 for Shakira and the fourth for Rihanna! German singer Helene Fischer jumps to a new peak of No.2 with Atemlos Durch Die Nacht, pushing Clean Bandit and Jess Glynne down two spots to No.3 with Rather Be. Katy B soars to No.4 with Crying For No Reason, her first top five hit, and Marble Sounds round off the top five with Leave A Light On, which slides two places to No.5. New entries come from Sophie Ellis-Bextor, Kyla La Grange, Tom Aspaul and Foxes. 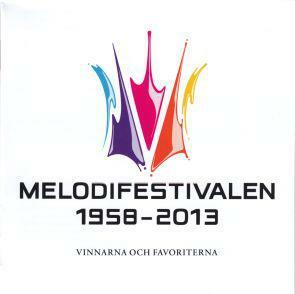 In the album chart there's a new No.1 for the Melodifestivalen 1958-2013 compilation. It pushes down Ola's Carelessly Yours to No.2 and Sophie Ellis-Bextor's Wanderlust to No.3. Swedish pop veteran Nanne storms in at No.4 with new album Drama Queen and Helene Fischer climbs to No.5 with Farbenspiel!